I have noticed that there are few books on Croatian history, which can pose a problem for people who want to learn more about Croatia and Croatians. 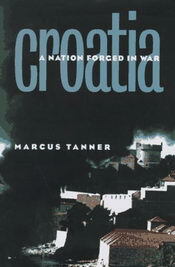 One book that I found and recommend is written by Marcus Tanner, a British journalist. The book is called "Croatia: A Nation Forged In War", which gives a decent overview of Croatian history: from the 7th century up to the end of the 1990’s. It’s a very good and concise book on such a vast topic (the book is under 400 pages, yet it encompasses 1400 years of history). Now it’s not perfect either, since some chapters and periods of Croatian history could have been more developed. Furthermore, it was written by a journalist, not a historian, so some people may have an issue with this (since the research can be lacking at times). One thing to note: the book is written by a non-Croatian, which means you get an outside perspective on Croatian history. This can be good or bad when understanding certain historical events. Even with its shortcomings, the book will give people a good and quick overview of Croatian history (the book is available as a paperback, paperback (2nd edition), and hardcover).